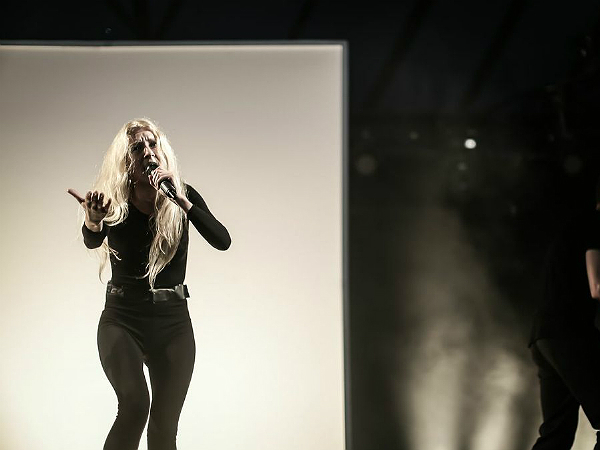 Iamamiwhoami is compelling performer. Beyond her near-unpronounceable name, the Swedish Jonna Lee is also a dancer, multimedia-artist and all-out mystery. 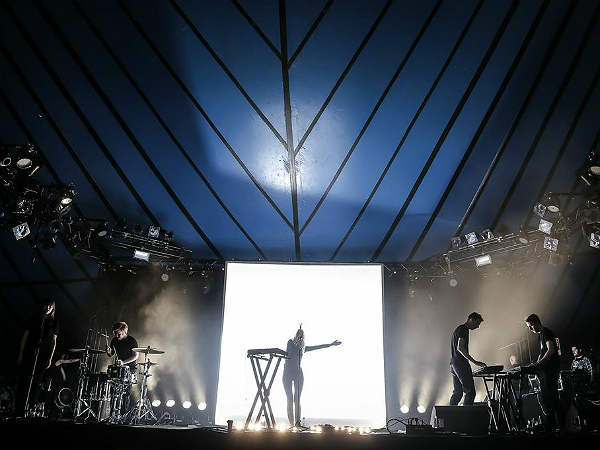 Pulling in a modest but impressed crowd of cult followers and curiosity-seekers at Latitude, she acts out her own enigma through an arresting set of stunning choreography and ethereally subtle but undeniably danceable electro-pop. She rarely plays on these shores, and does all in her power to make her set feel like a real 'event'. In short, the package of Iamamiwhoami is an all-encompassing 'experiment'. As a result, her typically Scandivian refusal to play by the rules has made her an unknown quantity and a real challenge for the music industry to sell or package her. "With our first release, we wanted to see if the industry could adapt as much as we can - as far as the physical world of releasing music is concerned," smile Jonna. "It's definitely hard to box us in and package us anything in particular, but it's not like it matters." Making her even harder to sell is the fact that Iamamiwhoami acts as an aptly named disguise for Jonna - distancing herself from a world obsessed with the cult of personality. "I don't find my private personality to be relevant," she laughs. "I find the audience's perspective of who I am to be more interesting. Before I felt like I needed to follow what I was 'supposed' to do, but now I don't. I can just take the chances to do what I feel like and make something that means something and isn't just a repeat of daily life." Her last album under her real name came out in February 2009 - then something changed. With that disguise, came a space to create more than just music, as Jonna explains: "I started writing music that sounded a bit different and that's how this project came about in the first place, then it just grew into a whole new world. I became really, really excited. Now the world of what we're doing, and I call it 'a world' because it's so much more than just writing songs on a piano, it is different because I get to involve the visuals and everything in my process from scratch - and I never did that before." It seems that whenever there's an emerging female artist, their gender always seems to come into play when talking or thinking about them - but rarely does that happen with men at all. All of this came into play with Jonna adopted a new persona to become more than just a 'female singer songwriter'. "Gender is never important," she says, steely eyed and shaking her head. "It should be about the personality and skill of the artist and not the gender. I've come across this quite a lot, and it's definitely more focused on women." Has she ever experienced much prejudice as a result? "Probably," she smiles, "but I try not to let that get to me. Everyone gets sceptical over what I do. What I like about this project is that if people choose to get into it then they get something unexpected." She continues: "My music is more than just 'a product' It's about soaking up all that surrounds by becoming an 'act' that wasn't supposed to be a band or anything - we're just an experiment. I'm just following it myself to see where it goes." With such an all-encompassing idea, does Iamamiwhoami ever suffer the same fate as acts such as Bjork, Lykke Li, Florence and the Machine - where creativity and eccentricity land them the patronising label of 'kooky'? "I probably do behind my back," she laughs, "but never to my face!" Iamamiwhoami's latest album Bounty is out now.